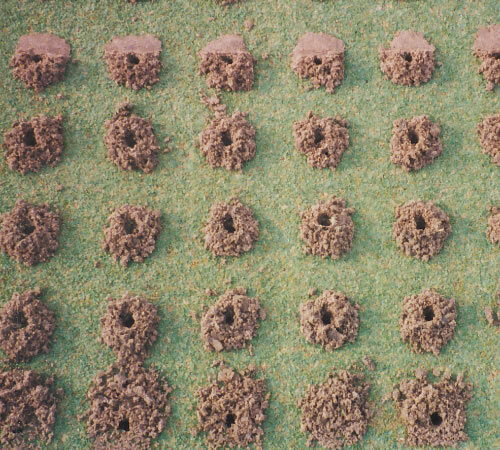 minimal pressure per square foot. 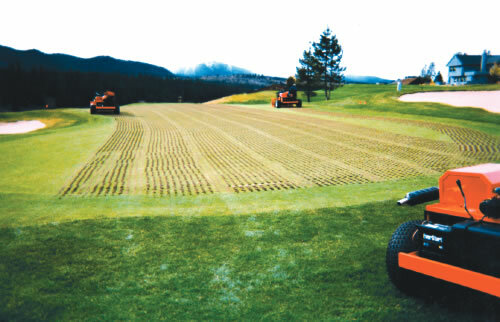 This along with the rotating drill action allows this system to aerate greens and tees, even during high stress periods. It is even recommended for use to relieve "hot spots". 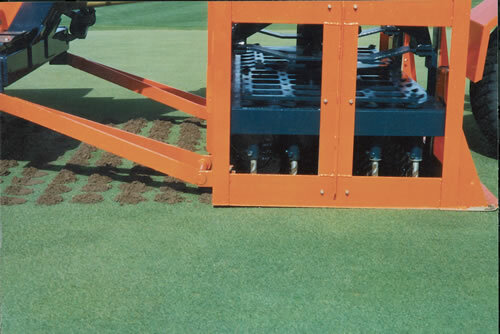 The 60 Bit Drill Aerator relieves subsoil compaction, improves drainage and air exchange, and still provides for fast healing times. 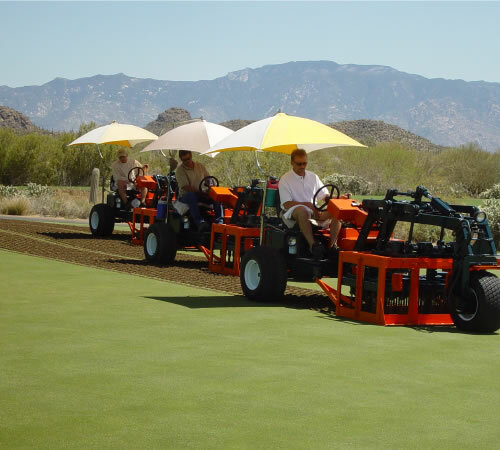 Instead of removing grass plugs, the Drill Aerator gently folds back the healthy grass surface during the aeration process. 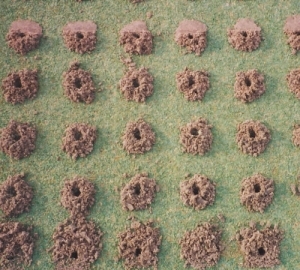 After a quick and easy clean-up operation, the putting surface is left immediately playable. 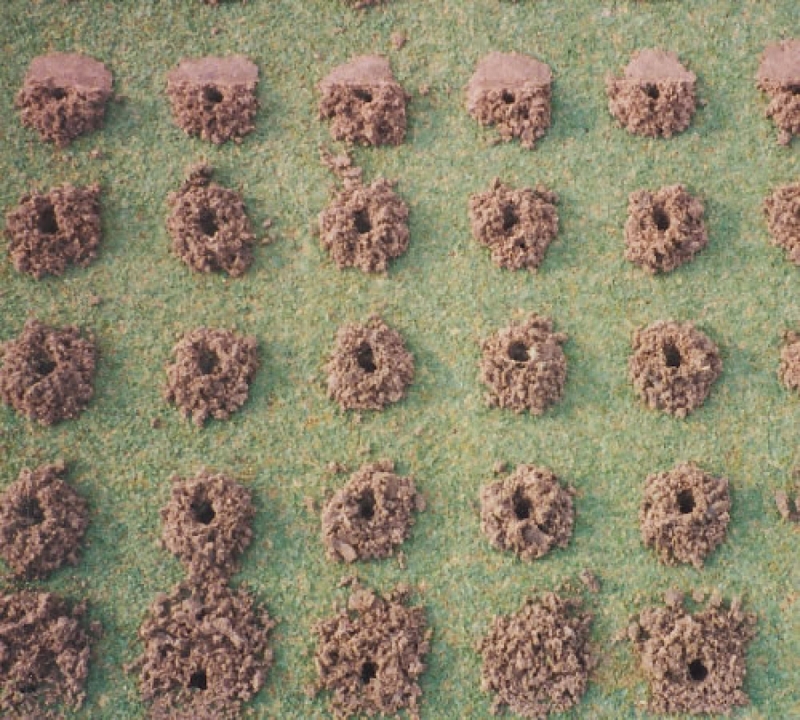 Within days, the greens will have healed to the point of making the aerification completely undetectable. 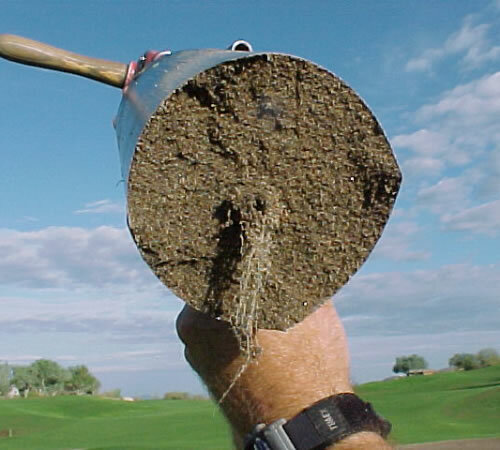 The healing process will conclude with increased root depth and a healthier turf surface.